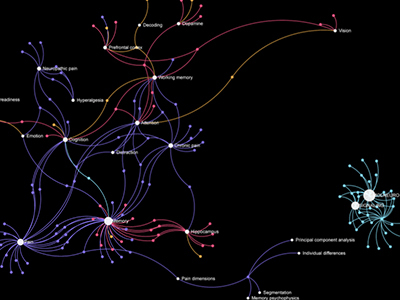 This prototype data visualization depicts a neuroscience keyword network, with a network of neuroscientists and the relationships between researchers, labs, and the content of their work. Two modes of visualization are at play in viewing the full network of papers, related to neuroscience and memory, and also in showing "one paper" and the network it generates in considering the papers related to that single paper. 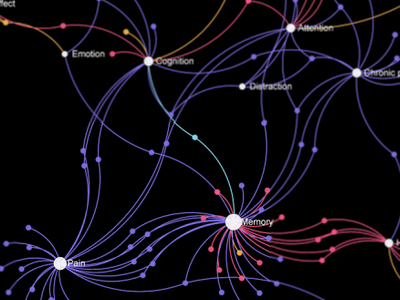 The tool can illuminate relationships that are otherwise difficult to pinpoint. The data is from the Scopus database and calls out keyword relations.